After almost 2 months I remembered that I have blog to write.Lot of things happened in between, but couple of days ago Microsoft released fix for WMI health monitoring issues. I will not go to much in detail what happened there, but symptoms you have look like on the picture below and error you see in alerts is WMI is unhealthy. Error can be true in some cases! Bu if you have installed this fix and error is still there something is for sure wrong. There was discussion about this error already on Technet forum and colleague from SquaredUp company wrote new management pack you can download that was removing this issue until Microsoft relase fix. If you don’t know SquaredUp has nice community page where you can found post about it and lot of other SCOM related things. 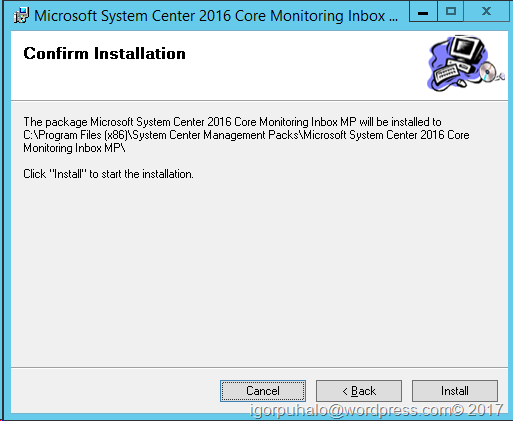 Microsoft released fixed MPs and announced it on SCOM Team blog here. 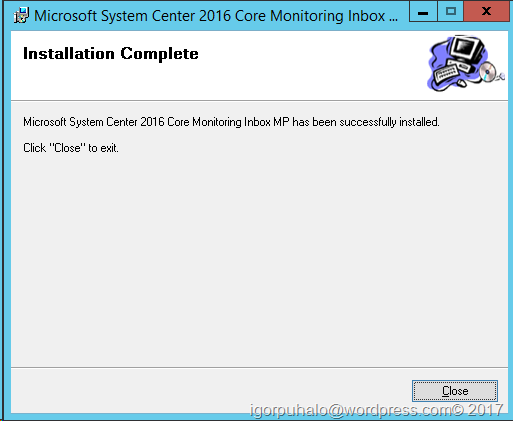 New feature in SCOM 2016 for Nano servers caused trouble. 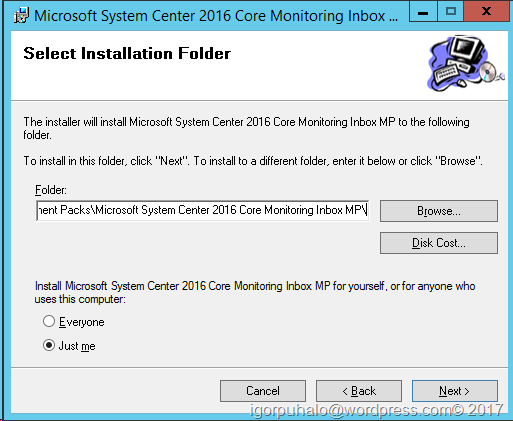 Fix is called Microsoft System Center Operations Manager 2016 inbox MP hotfix for WMI health monitor issue and you can download it here . It is just simple new management pack. Lets deploy it. 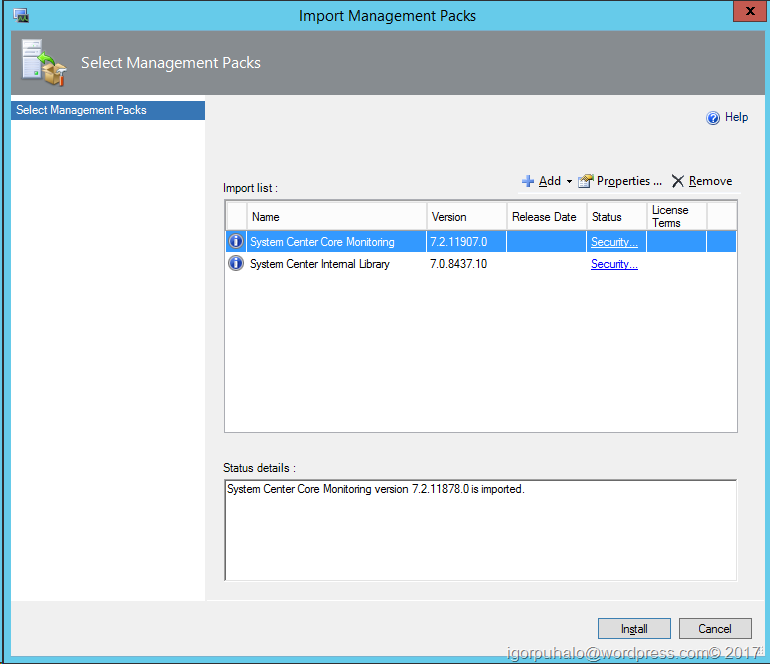 Go to Import Management pack and navigate to folder you “installed” MPs. Chose them and you should see next windows. 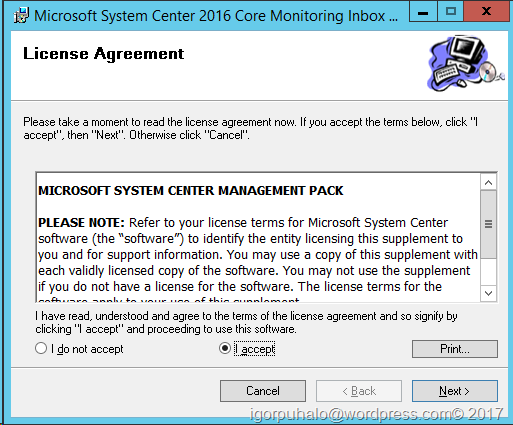 Version of currently installed System Center Core Monitoring MP is 7.2.11878.0 (fixed 7.2.11907.0) and version of System Center Internal Library is 7.0.8437.7 (fixed 7.0.8437.10).